In lieu of a full fat podcast this week, we took to YouTube due to the tight turnaround joined by Will from Fantasy Football Hub. We cover many of the key issues of today, from how we face up to 120 min City assets across to who we need to be targetting, plus how those chip strategies are bearing weight due to the week's events. Enjoy, back in Gameweek 29 for a full pod. FPL: Five to watch in GW27 - Keep the faith in Felipe Anderson? After what feels like an eternity, the Premier League is back this weekend. Whilst the FA Cup took centre stage last weekend, the spotlight is shared with the Carabao Cup Final. 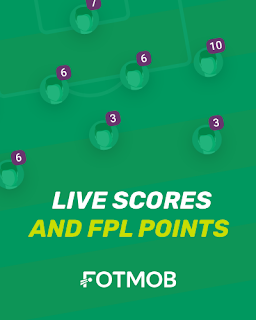 What does that mean for your FPL team? There are only 8 fixtures to ponder over this week with big hitters Manchester City and Chelsea amongst those not in action. To further complicate matters, Liverpool and Manchester United go head to head. With nearly half of your lineup potentially in one fixture, differentials could be more important than ever. We've identified five players who you should consider for this weekend. It's worth noting that the fixture list is going to get very complicated as double game weeks and blanks start to appear from week 32. Depending on your strategy, take note of who is playing twice so you can begin to fill your team for those weeks without having to use a chip. You may well raise an eyebrow that Lacazette is selected ahead of Aubameyang, but there are reasons. Even though the Gabonese striker has outscored Lacazette 150 to 122 points so far this season, I'm standing by my choice. Firstly, Arsenal are at home to Southampton and they will be heavy favourites to win. Lacazette is suspended for the Europa League tie with BATE (Thursday) which should mean he is rested up for this one, whereas Aubameyang is unlikely to get the same luxury. This week it's our blanks and doubles special, so who better to join us than the Godfather of these himself Sir Ben Crellin! 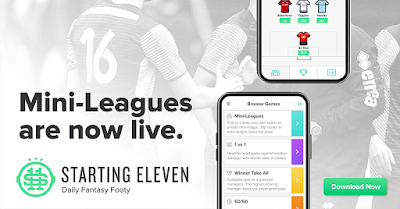 We've concocted a highly concentrated just-over-an-hour dose of advice to help you through the headache of the upcoming period, covering laying out the context, discussing strategies and identifying key men and teams to invest in. Hope it's useful and helps you get your head around your own planning, and get ahead of rivals! Consistency and reliability is key for Aubameyang, he has started 23 of Arsenal’s 25 games this season. Even with the two games when he was subbed on he scored 2 goals in each game. This week Arsenal start a 3 game run of favourable fixtures by traveling to Huddersfield Town, who are fresh off the back of a 5-0 hammering at the hands of Chelsea. After conceding nine goals in three games, this is the week to own and captain Aubameyang. It only took an 8-minute substitute appearance for Batshuayi to make an impact for Crystal Palace - a fantastic individual move meant he was unlucky not to score himself but we can settle for an assist on his debut. Batshuayi showed us last season in Germany that he can score goals, and goals is what Palace need this season – I think he could have a fantastic final third of the season. Their opponents this week, West Ham, haven’t won a game during their last four games and were knocked out of the FA Cup 4-2 at the hands of AFC Wimbledon. "Pogba plays the ball into Rashford who finds the back of the net!". This is becoming a regular occurrence under Solskjaer. Pogba has gone from a player we wouldn’t even consider, to a differential and now a safe pick. He is up against Fulham next. Fulham are still bottom of the table and have conceded 2 or more goals during their last 6 games, including their 2-1 defeat to league 2 Oldham. Since Solskjaer's arrival Pogba has registered six goals and six assists during eight Premier League appearances. He has the form and ideal fixture – lock him in. After an injury hit first half of the season, Pascal Gross is back and hitting form as Brighton enter a period of favourable fixtures. During his last three games Gross has attempted 19 assists and attempted 9 shots on goal, those have only converted to one goal and one assist but his performance vs Watford (which he provided no attacking returns) was a joy to watch. Brighton’s opponents Burnley have failed to win any of their last 4 games and are hovering dangerously 1 place above the relegation zone. Why Lindelof instead of an attacking fullback? Well Lindelof has recently built up a number of additional points on Starting 11 with the number of passes and interceptions he is making, vital point scoring for the daily play game. 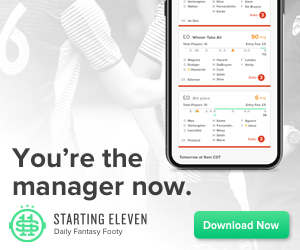 With two clean sheets and an assist during his last four games, the Manchester United centre back has proven a reliable choice for fantasy bosses and a fixture vs second from bottom Fulham won’t change that. The man we all love on FPL, a defender with a £4m price tag at the start of the season not only starting – but getting fantasy returns on an occasional basis. There are not many players who can dribble past the Crystal Palace full back and that contribution has led to 9 of their clean sheets this season. This week Palace host West Ham who have only scored once during their last 3 league games. A Manchester United defensive stack this week; I agree their defence is far from water tight but it may as well be with the Spanish goalkeeper behind them. Not only should De Gea keep a clean sheet this week but he will also score additional save points if and when Manchester United’s defence allow Fulham opportunities. It wouldn’t be fantasy football without Ben Foster’s name making the odd appearance. Gone are the days of 'Pulis Power' at West Brom, however at Watford, Foster has kept two clean sheets during his last three games. Their next opponents are Everton, who are going through the usual second half of the season slump now expected from any side managed by Marco Silva – first Hull, then Watford, now Everton. Despite spending £300m on players over the last few years, Everton are failing to keep pace with the big boys and after losing 3 of their last 4 games – are starting slide down the table. At least game week 26 is just a single set of games. The only extra point to consider is that next game week Manchester City, Everton, Chelsea and Brighton will all not have a fixture. Any move for players from those teams should be considered a one week wonder! It will start to get very complicated around week 31, but we'll worry about that when the picture becomes clearer following the FA Cup 5th round. This week we're looking at five players who moved on deadline day. Some of them may offer a cheap route into your FPL team whilst also acting as a differential due to low ownership. Newcastle's record signing slots into the FPL game as a £6m midfield option. Almiron arrives with a glowing reputation having been selected in the MLS All Star team for both 2017 and 2018. A creative type, Almiron typically plays as a number 10 but can also operate as a winger. It seems likely in Newcastle's current 5-2-3 formation that Almiron would operate as one of the two attacking midfielders behind Salomon Rondon. Newcastle are the second lowest scorers in the league - though you could argue that is what Almiron has been bought to alleviate. Plus we catch up with the Market forces, zombies, and All-Englands before taking some questions. The Premier League’s form player is back after missing only one Premier League game while representing South Korea. His goal scoring return during the week made it six goals and four assists from his previous six starts. With Kane still out injured, Spurs will be relying on Son’s goals and continue to push him into advanced positions – it’s an easy decision to have Son in your Starting XI line-up this week. I wanted to have Burnley's new star, Peter Crouch, as my differential striker but maybe I can save that one for another week? Josh King is finally back to his best. A goal against West Ham followed by his brace in the 4-0 win over Chelsea could be the start of a rich run of form especially with a trip to Cardiff up next. Cardiff have conceded eight goals during their last four games and are still sat in the relegation zone, four points adrift of 17th place Burnley. At the start of the season this was the man we were all backing, the 2018/19 Mo Salah he was dubbed – unfortunately he turned out to be a dud. Well FINALLY the attacking returns have arrived - scoring five goals and providing three assists from his last six starts – this is the sort of form we saw from Jota during Wolves’ promotion winning season in the Championship. This week Wolves face the unpredictable Everton, who continue to disappoint and frustrate. Certainly a differential. But a differential on form who has a favourable fixture – Ward-Prowse has now scored three goals during his last three games against Leicester, Everton and Crystal Palace. This week Southampton travel to Burnley, who despite an upturn in form continue to leak goals – highlighted once again when they went from a 2-0 lead in the 87th minute vs Manchester United only to draw the game 2-2. Both teams are scoring goals, both teams are conceding goals which should bode well for Ward-Prowse. Slim pickings for this week’s defensive safe pick have left me with David Luiz and Chelsea, based on the opposition rather than the home sides current form. Huddersfield are sat rock bottom of the Premier League, a worrying 12 points off safety and having scored on thirteen goals all season. With Alonso possibly out of the first team, who offers the next best attacking returns for a Chelsea defender? Well with two assists in his last five games it’s Luiz – although we aren’t expecting attacking returns, despite some of his attacking prowess of late. Here we have a defender more than capable of attacking returns. In fact he has been unlucky not to have more than the three goals and four assists to his name this season. The number of times he finds himself in and around the opposition box continues to excite me and at times this season Doherty has felt like the closest thing we have to the old school Marcus Alonso. After Wolves scored seven goals and winning their last two Premier League games confidence is high and I am expecting them to cause Everton problems this weekend. With Huddersfield’s attacking record, or in fact lack of it, I would be really tempted by a Chelsea defensive stack this weekend. Huddersfield have failed to score except once during their last four games, one of which was the FA Cup defeat to Championship side Bristol City. Chelsea may not be on form themselves but they are undefeated during their last five home games. What’s the best way to celebrate your return to the first team? Two clean sheets from two games should do it – especially when one is vs Chelsea. Can he make it three from three? Well next Bournemouth face Cardiff who have scored one goal during their last five games in all competitions – it’s no surprise that they drew 0-0 with Huddersfield a couple of weeks ago. If you can’t trust Chelsea, then take a punt on Boruc this weekend.